Please post anything you think needs to updated or centralized and it will be done with the soonest convenience. - Mention of +4 Levels for Max Bond is missing, as is whether the link to Bond is mandatory or not. - Mention of Heart Scale’s +10 Level effect is missing. - Personal opinion: It would be interesting to think of a way to introduce the official item Lucky Egg as a part of the game in some shape or form. Either a boost to DC Levels when held, or a similar use but limited to adventures, are two possibilities among many. 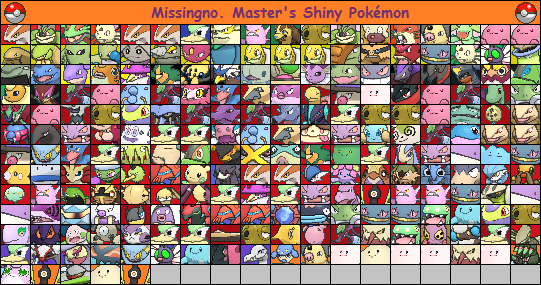 - Advanced Moves are basically missing. Articulation with Bond Shop should be made clear. What constitutes an Advanced Move should be made clear (Pledges, Volt Tackle, Draco Meteor, Dragon Ascent, Secret Sword – basically what goes and what doesn’t, because it’s not clear if some of these are “advanced moves” or something else; this is partly clarified in the Bond Shop, but this is where you actually learn moves). - Mention of Heart Scale’s +5 moves effect is missing, and what moves are eligible – “natural” vs “non-natural”, level-up moves, etc. - Personal opinion: moves learned via Bond should be learned in this Shop rather than the Bonding Retreat for a more linear structure. When a certain level is achieved, post in the Tutor to learn the corresponding move. - All I have are opinions (I dislike Bond :P) rather than missing stuff to point out. Max Bond in particular I feel needs to be reworked – in my opinion auras are silly non-canon stuff and only learning a move at max Bond AND max Level (an absolute rarity in this game where leveling up is a chore) is underwhelming and too restrictive. - Custom Moves learned through Bond should also be listed and clarified on the Move Tutor. Currently it’s counter-intuitive trying to figure out where I can learn the effects of Gummi Bomb, Guardain Terrain or Defensive Shield – it’s neither in the thread where we unlcok them, nor the thread where moves are learned. - Mentions of “old” mechanics can be removed. Current players are already aware and new players won’t care type-based gummis, IQ, Tameness or any other stuff they never had any contact with. It helps streamline the OP. In the unlikely case that a very old player returns, they can always ask. - Personal opinion: the rate at which the game is moving is no longer compatible with current Bond gaining rate. +1 per psot, in a game where adventures are once again slowing down to a crawl, generates a bunch of cumbersome linkage that amounts to very minor gains in Bond. Perhaps a revision of how much Bond is gained through adventuring should be equated – consider for example that a Luxury Ball is the equivalent to ten adventure replies amd how long it takes for a normal player to post that amount. - SO should be able to edit the OP honestly. As it stands IronThunder runs the shop so could he be the one rotating stocks? - Personal opinion: much like Bond gain, I think another look at the income from each post might be warranted right now. These things are dynamic as anything with activity spikes is, but we really should make an effort to adapt rather than adhere to static values. We are at a bit of a low right now and a single post is not enough to buy a natural move at the Tutor. Price and/or earning revisions could help somewhat. 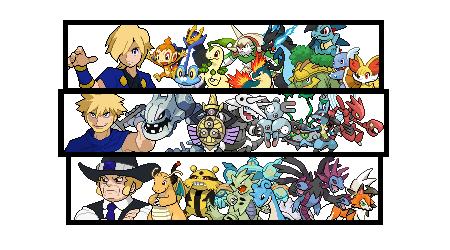 - Currently it might not be perfectly clear if a player can only have 1 ongoing breeding or several if he uses different Pokemon. Similarly, it should be clarified if a player can have a breeding egg and Enigma egg incubating simultaneously. Omission of restrictions in this case is not particularly explanatory. - Maybe we should clarify what types of Eggs currently exist, both for players and updaters to be aware. Are there only Breeding Eggs or Enigma Eggs? Are Type eggs still a thing? Are rarity-tier Eggs still a thing? Which eggs can be awarded in adventures? I get that Eggs are supposed to be surprises, but a bit more in-depth data in the OP could help to level expectations. - I think we should add a note about the absence of HMs, and what that means for the in-game use of Surf, Fly, Strength etc (what does it mean, really? The games have moved away from the HM system by giving us environmental alternatives, but FB doesn’t have that – a mountain is not going to conveniently have a climber NPC and a body of water rarely has a Lapras NPC handy, so environment uses of old HMs really should be clarified, either here or in the rules). - We should merge the Rules and any Beginner Guides we conjure up eventually. A single stickied thread should be enough to make sure everyone knows where to get the info. Data regarding custom items/balls/moves should probably also be a post inside this megathread. Registration should of course remain separate. - It should be clarified whether a Starter Pokemon can be traded away at any point. - There’s a line under Currency that reads "Rare Candies are not mandatory to be kept track of”. But they kinda are, since we have regular tally updates in the designated thread. On the other hand, Staff Points, which are listed as mandatory to keep track of, have never been tallied. Either we stop tallying everything and become entirely trust-based (my personal preference) with a single master post for each player’s earnings that can be double-checked by mods if the need ever arises, or we have the same ruleset for everything and regularly tally all the numbers everywhere. It’s best to be consistent with this, and honestly, from na entirely personal perspective, linking is abhorrent and a turn-off in a game that does not have a PvP component where cheating would be expected. - The Shop listing in the Rules thread is outdated. - The Moves listing in the Rules Thread might be unnecessary if it is explained in the Move Tutor thread. - The Zones post is also outdated and could use a rewrite, and should be higher up the lsit as this is the heart and soul of Fizzy Bubbles. Updater discretion is such a massive factor in this game that I believe should be properly emphasized. Also, the following line probably needs to be revised: “If you wish to capture a Pokémon, you may capture it after it has been KOed or if the Pokemon, through the adventure's storyline, becomes willing to be caught. KOing a Pokémon will increase the likelihood of the capture. Various Pokéballs will also alter the chance of capturing it.” Balls do what updaters want them to do and work when they want them to work, regardless of whether it’s a Rocket Ball or a Great Ball – captures are entirely context-based, regardless of device or KO status, because the stories are about the capture. By the time a player reaches the point where a catch can be made, it’s because the updater led them there all the way and no choice of Ball or HP left is going to change that. If the game shifts to a state of, or a new zone specifically appears to, allow for quick captures with little plot, then this can be reconsidered. - Free RP areas post is also outdated. - Bond rules should be detailed in a Shop. Here, a simple definition of Bond and a link to the Shop should suffice. Same for Clarity and Shadows. Basically, if we already have a Shops listing further up, this doesn’t need to be here in my opinion. 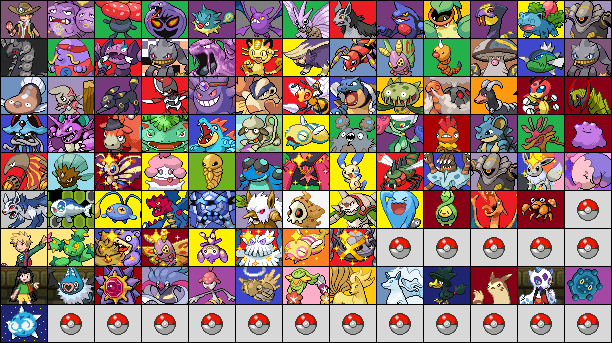 - I would make a note somewhere that players can Evolve their Pokemon at any point if criteria are met, and not forcibly in Zones but also the TO or shops if they prefer, with the exception of Trade evolutions that happen in the GTS. - I would make a note about there currently existing no Trainer Battles or Contests, since potential players might be looking for those two features when deciding to join. - I would make a note somewhere official that this game uses both UPN and Bulbagarden in equal measure, which is currently missing and could be a deciding factor also, since many things are exclusive to one of the branches and two registrations on different sides are therefore necessary to enjoy the game in full. Last edited by Maskerade; 02-19-2019 at 03:46 PM. The main reason why I can't edit the OP is because the shop changed hands about a year ago when I took over. Letting me edit it would basically just be a case of archiving the old thread and making a new one. Which, frankly, I wouldn't be opposed to, but the second point needs resolving first I think. With regards to reducing availability, the only things we've sold in the last year were Old Spice Incenses, Evolutionary Items and various Pokeballs, most commonly Luxury Balls. It's there, but barely anyone uses it. The last time someone bought a healing item was Mask, just over a year ago. Berries, slightly earlier. Healing items and berries likely won't be missed too much. Pokeballs, it depends what you mean by 'thematics'. Personally I'd be in favour of removing everything that isn't a Pokeball or Great Ball (maybe have Ultras). The fact that the most common purchase in the store is Luxury Balls really sticks out like a sore thumb, but that leads on to a point I've been meaning to make for a while, namely trying to rebalance how Luxury Balls work. Last edited by Ironthunder; 02-19-2019 at 11:04 AM. Well, Mask seems to have covered more or less all the big stuff, but there's a thing or two I feel merit mentioning here. 1: Maybe it should be made clear somewhere that evolving something that requires happiness or knowing a certain move does not require leveling it up immediately before said evolution. I see it every now and then, people using a Rare Candy on their Eevee or Woobat or what have you to level it up and cause it to evolve. FB's never required this. I've evolved an Eevee into Umbreon and a Yanma into Yanmega both at level 1 (Yanma can learn Ancient Power as an MT move, that's how it was possible, in case anyone's wondering about that one). 2: The Bonding Retreat should mention the fact that MT moves taught via Bond do not need to be natural MT moves. The only reason I ever knew it was allowed was by seeing other members being allowed to do it. 3: I remember this subject cropping up at one point- it should be mentioned somewhere that the Old Spice Incense isn't single-use, so people don't try and buy another one after breeding something. I remember that the sale was denied and the payment refunded rather than letting the person buy more Old Spice Incenses than was necessary, which is great, but I feel like mentioning it somewhere, avoiding the issue altogether, might be preferable. 4: The rules about transferring stuff out of Bond-increasing balls should be made clear. In old FB, once something was in a ball that increased happiness points, it was stuck in there for good. Not unreasonable, considering the potential for abuse there, but is this still the case? If it is, that's fine, but if not, I personally would like to know, because I'm actually interested in possibly transferring Charlie (Charizard) into a regular Poké Ball, just so I have all my fully-evolved Kanto starters in the same kind of ball, without having to break the bank to get new balls for Chance (Blastoise) and Dennis (Venusaur). Of course, if such a thing isn't possible, I'm fine with just sucking it up and dealing with it- I'm not pushing for a rule change here, just clarification. 3. There is no wait time requirement between incubation periods for eggs, and trainers are not limited to the number of eggs they may have incubating simultaneously, whether obtained through breeding, the Birthday Bubbles Bash Venue, Events, Update Rewards, Adventures, or by any other means. 9. Trainers have no limit to the number of Pokemon simultaneously breeding in their care, as long as a) they are using different Pokemon for each breeding, and b) the hatchlings claimed as a result do not cause the trainer to exceed their total number of breeding allotments per year. "1. If you have obtained an egg, post here with the link to where you received it so we know what its requirements and limitations are." The way the system currently is, the onus is on the Event, shop or updater providing the egg, not on the Hatchery, to provide Egg information. Interestingly, the Birthday Bubbles Bash Venue's front page is where much of our egg type information is currently stored, as it is currently the only place where Type Eggs and Birthday Eggs are given out. Enigma Eggs are defined there, also (perhaps definitions of Enigma Eggs also belong in the Updater Rewards threads, too?) Rarity tier eggs are not a thing, as rarity as a concept has been abolished IIRC. I don't know what kinds of eggs can be awarded in adventures because I have never seen it - I don't think a hard conclusion was ever reached on it. That would probably be something that we'd have to further discuss in development, unless there's a determination on this somewhere that I missed. I could see merit to an item similar to the Old Spice Incense (Baby Blue Incense and Pastel Pink Incense, maybe?) which, when held by one of the Pokemon in the breeding pair, causes the hatchling to automatically turn out a certain gender. One could even argue that such an item could produce males and females in species that are normally 100% male and 100% female... But this would be a topic better suited for development rather than Spring Cleaning, probably. This is on me lmao. It has now been updated accordingly. In terms of the Lucky Egg... I'm not sure I really agree with it being used in the daycare. I don't know what the level gain could feasibly be, as a solo stay already nets you two levels and a stay with max bond nets you four levels. I could see this working better within an adventure setting, myself, but that's just me. For other things Mask stated... I think that pretty much covers everything that has been bothering me for a while as well. (However I do like Bond and don't see that much of an issue with it... but perhaps it is a discussion that deserves some merit). I heavily agree with these three points that MM has made as well, I think that the rules need to be more clarified to make it easy to understand for everyone. I was fully under the impression you had to use a candy to trigger a happiness evolution (or an "abnormal" evolution) but now I'm curious if that's actually the case. It was me that bought like three Old Spice Incenses before being told they aren't single use LMAO. I got a refund but I certainly think this needs to be clarified. (Even if you just say "Limit of 1 per customer" or something along those lines). AM Moves are anything learned by a Special tutor in game and not part of a wider move tutor: stuff like the Pledges, Elemental Hyper Beams, Draco Meteor, the Meloetta special move I'm forgetting at this time (Relic Song there it is). This is pretty much not needed. HMs really aren't something that makes sense in an RP sense anyways: they were just in-game ways to make the game linear and not freeform. Normally I'm generally good for introducing game mechanics wholesale but this is one I'm completely okay with never remembering it existed. The rules thread and the Beginner Guides are completely different things, and should not be merged. Custom items should be a post inside of the megathread, I agree. Currently you can only trade a Starter Pokemon if its meant to evolve it; this is to prevent abuse with resetting. There’s a line under Currency that reads "Rare Candies are not mandatory to be kept track of”. But they kinda are, since we have regular tally updates in the designated thread. On the other hand, Staff Points, which are listed as mandatory to keep track of, have never been tallied. Either we stop tallying everything and become entirely trust-based (my personal preference) with a single master post for each player’s earnings that can be double-checked by mods if the need ever arises, or we have the same ruleset for everything and regularly tally all the numbers everywhere. It’s best to be consistent with this, and honestly, from na entirely personal perspective, linking is abhorrent and a turn-off in a game that does not have a PvP component where cheating would be expected. The Candy Shop is a completely optional service because candies serve no purpose currency wise. I do not use it to track my candies. Staff Point are tallied but they aren't done in individual posts because that's kind of ridiculous and isn't a good shop system imo and are done semi-infrequently by moderators. Realistically, updator's discretion is a huge thing and absolutely needs to be prioritized. I am primarily not an updator because I know that rocking the boat and defying expectations will piss people off: people need to have the liberty to be different with adventures than expected. Centralized rules are important to have everything in one place so people dont have to go digging around to find where something is said. All of these are fair points. My main thoughts have to do with Updating in Zones. Shouldn't we have a place for updators to post what general idea they have for this one person they are working on, so that way another updater can pick up that member s plan or general idea of the story so the updatee can finish it. Alright, I'm going to try and cover this for you. Zone Guidelines- Generally, if you're unsure of what you can/cannot do in a zone, what you should be rewarding and that sort of thing, ask your ZA. Every zone has a ZA for this reason and it isn't something the mods should have to deal with. We don't put guidelines in because we don't want to try and restrict updaters, it's making rules for the sake of making rules. You can even talk to other updaters and see what they do or think, most updaters are normally happy to discuss plans and stuff. Replacing Updaters- Yeah this is a massive issue and causes things to stagnate. Generally I tell people if your updater hasn't shown up for a month or two and hasn't put in an Updater Absence, go to their ZA. If they are the ZA, speak to one of the other updaters. As a ZA I personally like to have a general idea of what updaters are planning for their updatees, in case I have to replace them. Gotchya, well ya then I have got nothing but support. I totally bought type-boosting items recently.